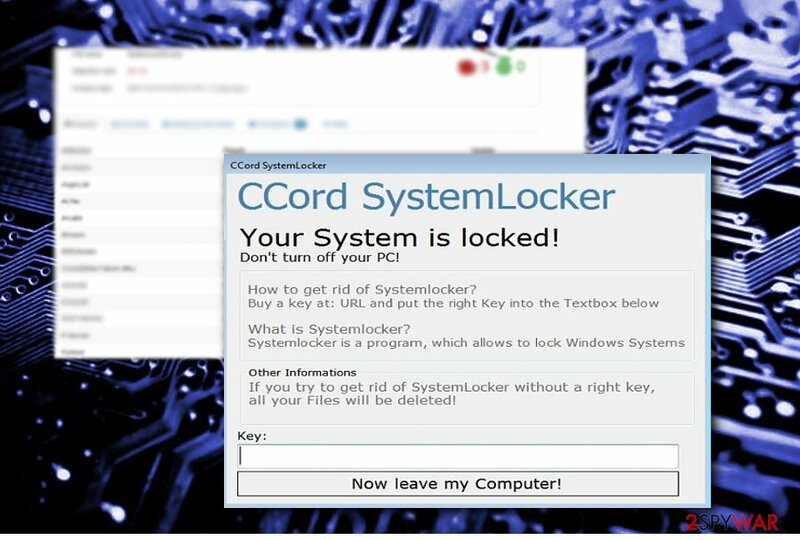 CCord SystemLocker ransomware uses sophisticated techniques to infiltrate computers and hide from its victims. Use Reimage to determine whether your system is infected and prevent the loss of your files. CCord SystemLocker virus is classified as ransomware, though in fact, it is a screen locker. Fortunately, it does not encrypt files. It is already detectable by the majority of security applications. It functions as Trojan.Ransom.ScreenLocker, Trojan.Win32.Generic!BT, Troj.W32.Diztakun!c, a variant of MSIL/Riskware.LockScreen.E, etc. After infecting the system, the malware launches its GUI called “CCord SystemLocker.” It offers to purchase the unlock key. 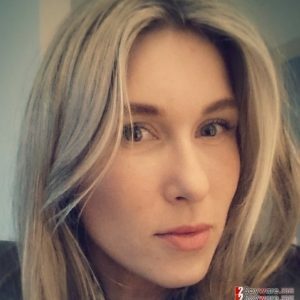 IT expert Karsten Hahn has discovered that the unlock code is placed at https://jokebeatzz.lima-city.de/kws.txt. At the moment, it displays “cracked:cracked” phrase. It should unlock the screen. However, the virus is not properly developed as it crashes from time to time. Furthermore, no actual ransom is indicated, nor email address is shown. However, the virus is not properly developed as it crashes from time to time. Furthermore, no actual ransom is indicated, nor email address is shown. 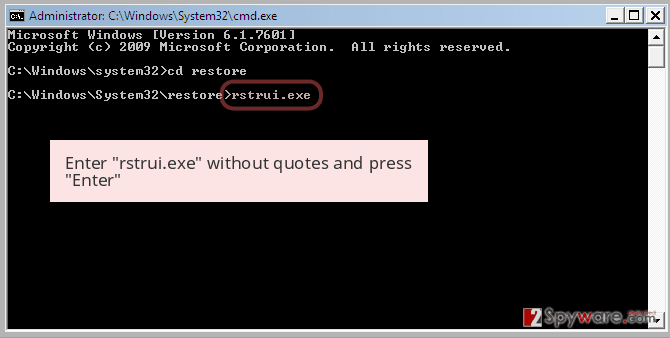 The malware does not encode nor delete them. Nonetheless, the locked computer is a no less troublesome phenomenon. After you recover access to the system, eliminate all the components of the ransomware. Remove CCord System Locker by scanning the system with Reimage or Plumbytes Anti-MalwareMalwarebytes Malwarebytes. In case of other screen locker threats, they might be troublesome to deal with as they shut out users from accessing the system and performing basic removal steps. Some of the screen lockers can be unlocked by ALT+F4 combination. Observing the tendency of screen lockers, usually, their source codes include the decryption code. Thus, if you ever get this troublesome virus on the system, look up for the solution online, someone might have already found the passcode. Before we discuss CCord SystemLocker removal options, let us look through the distribution trends. CCord SystemLocker alarms users to purchase the unlock code but fails to provide necessary information. Remove CCord SystemLocker virus with the assistance of security application. 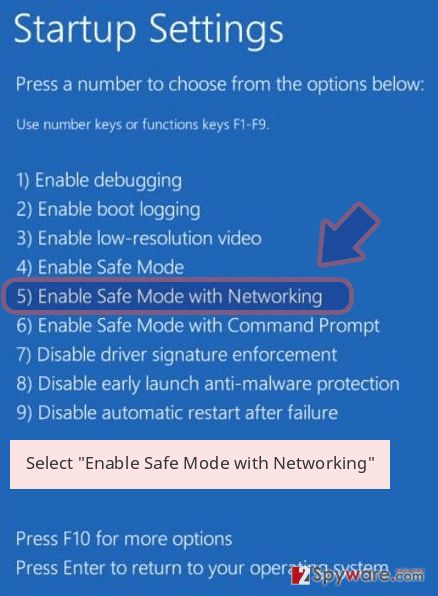 Naturally, before you can access it, you will need to bypass the malware intervention. Enter above-indicated code. 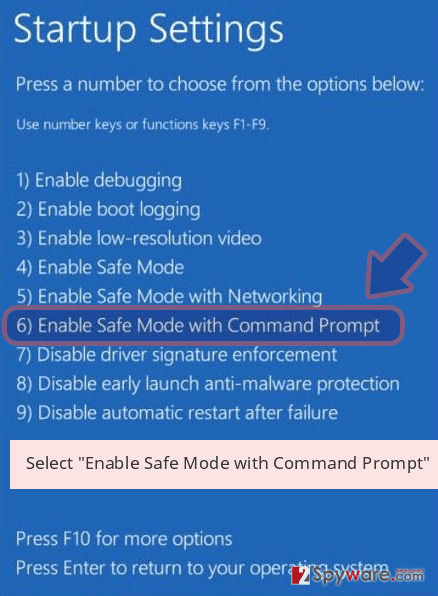 If, by any chance, you failed to so, reboot the system in Safe Mode. After that, you will be able to complete CCord SystemLocker removal. This virus does not seem to be very active, but every user, regardless whether they reside in the US, UK, or Spain, should be cautious while browsing online. 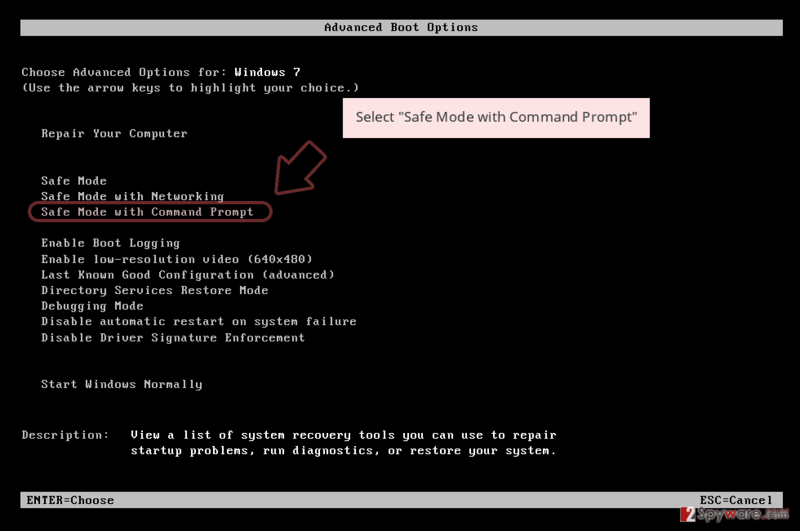 Reboot the system in Safe Mode, launch a security application and complete CCord SystemLocker removal procedure. Log in to your infected account and start the browser. Download Reimage or other legitimate anti-spyware program. Update it before a full system scan and remove malicious files that belong to your ransomware and complete CCord SystemLocker removal. 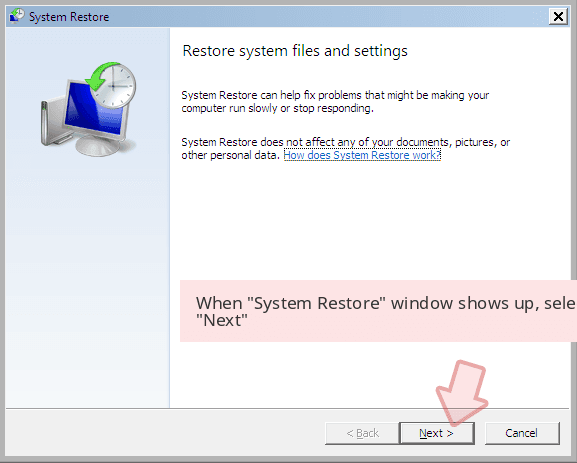 When a new window shows up, click Next and select your restore point that is prior the infiltration of CCord SystemLocker. After doing that, click Next. 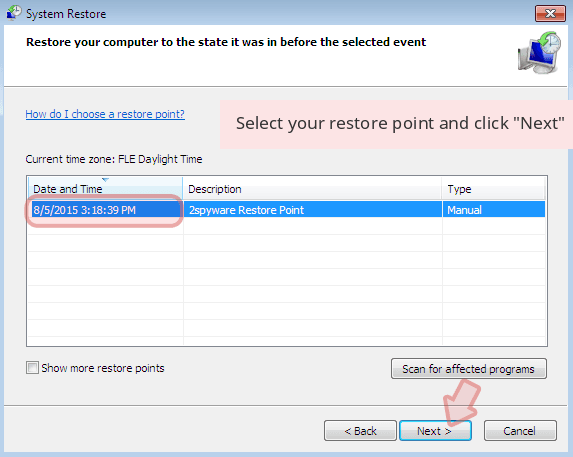 Once you restore your system to a previous date, download and scan your computer with Reimage and make sure that CCord SystemLocker removal is performed successfully. 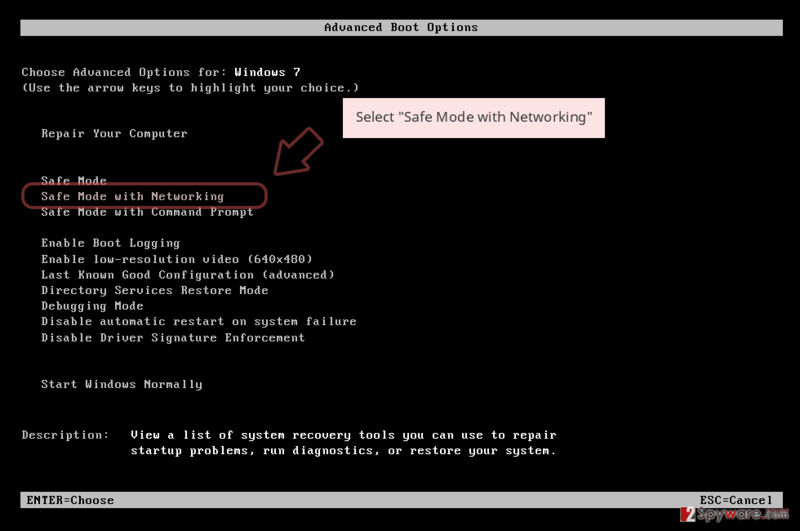 Guide which is presented above is supposed to help you remove CCord SystemLocker from your computer. To recover your encrypted files, we recommend using a detailed guide prepared by 2-spyware.com security experts. In case you encounter a real file-encrypting threat and failed to backup files in advance, the program might help you recover files. The program creates the copies of the original files by using shadow volume copies. Only elaborate ransowmare delete them, so having this software up your sleeve might turn out handy as well. ^ SystemLocker.exe. VirusTotal. Free malicious URL and file analysis service online. ^ Karsten Hahn. CCord SystemLocker by Jokebeatzz aka MaxBe. Twiiter. The source for news and communication. ^ Eliminate computer threats. Losvirus. IT news and malwrae elimination guidelines. This entry was posted on 2017-10-17 at 01:37 and is filed under Ransomware, Viruses. You can quickly scan the QR code with your mobile device and have CCord SystemLocker ransomware virus manual removal instructions right in your pocket. How did you remove CCord SystemLocker virus?